"Buy what you know", they say. It is sound advice. After all, if you consume the products a company produces yourself you will have a better grasp of how other customers feel about the stuff they churn out the factory. If you like it, it is quite likely so do others. That is why FTSE 250 soft drinks giant, Britvic (LON:BVIC), has been on my radar for some time. Their drink brands abound everywhere. Indeed, as I write I am sipping on a glass of R Whites Lemonade. And this weekend me and Miss DD were enjoying a little J2O together during whilst out and about. Similarly, I am probably not the only one (especially in the UK) to admit I have a cupboard stocked full with Robinsons squash. We usually have at least two different flavours on the go at any one time (fruit and barley, usually). As such, investing in them myself certainly seems logical. I know their drinks. I like their drinks. I buy their drinks. As do others around me. So I finally overcame my reservations (more on this later) and pitched some of my cash in Britvic's direction. Let's see why here. All told, therefore, they have a very wide variety of soft drinks on the market. It must be said that their geographical diversification is somewhat limited currently. The UK is their chief market with Ireland and France chasing up close behind. However, they have been focusing on building the international exposure of their own brands through franchise agreements (for example, in the US and India). This seems a sound strategy to me and hopefully will underline their growth story going forward. All in all, I like the look of a company from this perspective. As most of us realise early on in our investing lives. Consumer goods companies are particularly sought after for their consistent growth and income attributes. As a result, they tend to attract pretty substantial premiums to the market. Unilever, Diageo, PZ Cussons, Reckitt Benckiser, SABMiller and more besides all hold P/E values of over 20 for next year. Indeed, even smaller soft drinks companies like A. G. Barr and Nichols--which are, perhaps, better comparisons with Britvic--have P/E values in that region as well. This is a pretty tight set of predictions from the analysts. even assuming the lowest EPS predictions for the year we should see a P/E around 16.5. That is a significant discount to Britvic's peers. What is more, it marks a significant predicted EPS growth across the board with the lowest PEG value sitting at 1.85. This all looks good to me. Again another tight set of predictions (only 7.5% difference) and again the lowest predictions not only offer a P/E value of 15.4 but a PEG of 2.1. Again, this looks good to me. So what about the dividend front? First, they have a very good record indeed. Britvic was only listed again in 2006. Since then, the dividend has grown from 10p per share to 20.9p per share in 2014. Only once in that time were they forced to hold the dividend. This was in 2012 when it was held at 17.7p per share. This was chiefly due to the issues surrounding the Fruit Shoot bottle caps which meant they had to recall many bottles of the tipple in July that year. However, since then dividend growth has been back to business as usual. Analysts currently predict a dividend of 22.73p and 24.61p per share for this year and next. This would offer a yield of 3.04% and 3.29%. As a result, Britvic is set to yield investors a nice amount more than any of the other companies listed above. Not bad at all. What is more, they are predicted to be covered over twice by earnings in both years. Overall, looks very good indeed. Well, the only issue which prevented me investing last year (when it was trading about 650p per share) is related to its debt load. According to its annual report it has a debt of £566 million. This is quite hefty for a company with a market cap of about £1.8 billion and throws out a debt to equity ratio of about 6. This is well above the usual fare for such companies (who often have debt to equity ratios well below 1). That is quite large. Bear in mind that utilities--which tend to have large debt loads due to infrastructure investments and their excellent ability to service those debts--have much lower readings (see my SSE and National Grid purchases, for example). However, I have looked into this a lot more before investing. First, the debt has been used on investments which seem to be resulting in the higher growth rate. As a result, its seems the debt seems to be achieving what it intended: enhancing growth. Also, they have been slowly reducing their debt exposure (and have intentions to continue to do so). They also have quite a large cash pile--£143 million--which easily covers the interest repayments (which were £26 million last year). This is not to mention that their operating profit covers the interest repayments over 6 times as well. This is all encouraging. Of course, I would prefer to see this debt level drop and expect to see that occur in the coming years. Nonetheless, my further research satisfied me that the debt level is manageable and positively reflects Britvic's recent acquisitions which are contributing positively to their growth. So how does Britvic fit into my investing goals for the year? With a yield of about 3% it will draw me a little further from my target of retaining a portfolio yield of 4% or more. However, that particular goal is in the process of being reviewed. What is more, as I have recently been looking to bulk up the high growth rather than high yield portion of my portfolio (see, for instance, my recent WPP purchase). Britvic serves this purpose very well indeed being a nice compromise between yield and growth and being in the solid, consumer goods sector. My £800 dividend income target for the year will be helped a little by this purchase. However, not as much as I may have hoped. Britvic pay their final dividend in February and so I missed that payment for this year. I will, therefore, only receive the interim payment for the 2015 calendar year. But this is not bad and should add about £7 to my total. Not bad, but next year I will see both the Interim and Final dividends dropping into my brokerage account. Being a consumer goods company it does represent a less volatile investment. It has a beta of just 0.74 which should help keep me on track to retaining a portfolio beta of 0.85 or less. What is more, being a larger purchase than my usual investments for last year, I am on track to hit my goal of keeping investing expenses to below 1.3% for 2015. For this purchase the brokerage and fees represented just 1.17% of my total investment. Not bad at all. Being a new holding. It also means my portfolio has now got up to 28 different companies in total. This is edging towards my original goal of keeping it under 30 companies this year. This goal has always been rather flexible and was included in order to encourage me to think about topping up on current holdings rather than just focusing on new additions. It is, still, something to watch! Overall, I am very happy with my Britvic purchase. I will remain sensitive to any movements in their debt levels and the cost of servicing those debts, however. What do you think about Britvic as an investment? Would you be worried about its debt levels? Are there better consumer goods investments out there for growth and income? I like the idea of this stock because it is increasing it's dividend payment for the next two years. However the thought of the debt would concern me slightly, then again many companies have debt. As long as they have a plan to overcome the debt and grow they will be around for a long time. Like you I am quite shocked that they own so many famous drinks. You're right. Hopefully (barring any disasters of course!) we should see a solid dividend growth of about 8% for the next couple of years. I suspect longer than that. That is a great rate especially as that should come with continued, healthy earnings cover. Debt in itself does not worry me at all. It is a critical part of creating a healthy and growing company. 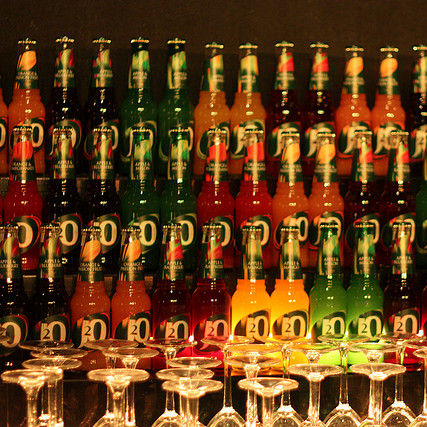 However, Britvic's debt-to-equity levels are unusually high for the industry it is in. That did originally put me off. However, I do think I may have over-egged that concern originally. We will see! That being said, its debt-to-equity levels are similar to other rapidly expanding and largely defensive companies. For example, the funeral care provider, Dignity. They have (or had, at least) a debt to equity ratio of about 10. Importantly, its debt level has been stable for many years and modestly coming down. I would prefer a lower debt profile just for peace of mind for when interest rates do--eventually--go up. Being in such a defensive industry I do hope it will be able to retain a low interest rate. However, clearly in a higher interest environment their debts would be a little harder to service. I was quite surprised by the breadth of their brands. It is encouraging and makes them even more appealing. Drench and R Whites in particular surprised me as I had been drinking them for some years! What is more, their licensing relationship with PepsiCo is very mature which is an excellent sign. What is more, I believe it is now mutual with PepsiCo doing a similar trick with a couple of Britvic's brands in the US (Fruit Shoot, I think). I think that is right, I read so many of their reports I may have got that mixed up somewhere along the line! If that is right, however, it reduces the likelihood that Britvic and PepsiCo would sever ties with one another. Thanks for commenting! I have seen some of your posts but not had the time to comment yet! Nice buy. As you know, I've been looking at the drinks companies too, after having skipped buying diageo when its PE dropped to below 20 briefly. I'll do a write up soon on what I've discovered, and decide whether to buy into one of these companies. I'm really pleased to see that britvic have got the rights to Pepsi - I did not know that. Of they can secure more of these types of deals, they could well be on their way to cutting down that debt, which I must say is slightly worrying. Thanks, M. I think it will be a good buy over the long term. I suspect if interest rates rise we may see a noticeable price dip. If so, I think I am more likely to average down than worry! Diageo keeps tempting me to make a top up. It's share price keep floating down to around the the PE20 mark but hasn't dropped below that for a while. I still have, in my head, a target of anything below 1800p before I seriously consider topping up. However, if it settles at a price just above that then maybe I will consider it then! If it does drop to around 1800 or below then it should be predicted to forward yield 3%.That would be very welcome! Be great to see what you think about the drinks companies. I looked into C&C more after bumping into it through you. It looks interesting. Yes, Britvic has had the Pepsi deal since before they were listed in 2006. Personally I'd like to see them continue to develop and invest in their own brands going forward rather than looking for other licensing deals like Pepsi. That seems to be the course they are currently taking. Interestingly, although Mountain Dew is a Pepsi brand it seems that--in the UK--Britvic has changed it quite significantly so it is pretty much a different product (hence why it was originally called Mountain Dew Energy here). I grew up with Robinson's squash...it's good to see that brand is still going, although it declined in volume in FY14, and it looks like the carbonated segment grew the most. I'd have thought Britvic would be well positioned to take advantage of more health-conscious consumers with soft drinks over carbonated drinks, but perhaps there's just as much sugar in either! As for debt, well they're paying it down as you mention - their annual report shows their oldest debt interest is about 6% and the newer debt they financed is at 4%. On the plus side it's fixed interest, so as long as they're using the money wisely to increase revenue and can make a 4% ROI then they're good. Anyway, congrats on the purchase - it looks like a keeper! And in a way it's good that they made an expensive mistake a few years ago, since the company you now own should have learned from that and is now stronger because of it. I've added them to my research list to include them on DividendChampions.UK so they should make an appearance later next month. I know. Same here. It was one of the few brands that regularly cropped up in the DD household of my youth! Yes, it did decline a little last year. Looking across the industry, however, I was happy to see it was a fairly universal trend. What slightly confuses me is that Robinsons have increasingly looked to double concentrate juice for their standard juice (rather than Fruit and Barley) which would--surely--affect volumes (that is, halve it) more than sales and turnover. I am not sure how much that is reflected in volume numbers. Yes, the sugar thing is a bit confusing. In general their juices are comparatively low or no sugar (though their barley drinks, necessarily, have sugar in them). As a result, I think Britvic in general is quite well placed in this regard. However, the shift away from sugary drinks seems to be more a slow trend than a sudden shift. Have to wait and see. If I am right, Britvic should be riding high in the future! Yes, I didn't go into the interest rate in my post as it had already got a little long. But you're quite right, it is mostly fixed interest which is good news in the long run (even if in the short term they could have been paying less). Predictability is good here! Hopefully they have learnt. As far as I can fathom from their annual reports, they did not too adversely (financially speaking) get hit by the issue with Fruit Shoot. Being such a famous brand, however, it got very extensive news coverage. The fact they quite quickly set aside the opportunistic AG Barr-proposed merger really is indicative of the fact the impact was short-lived. It is not something we want repeated though! Thanks for dropping by. Look forward to seeing their appearance on the Dividend Champions UK list! Excellent analysis, thank you for sharing your thoughts with us. I agree that Britvic seems like a great "little" company to own. As a British investor the fact that it's mostly focussed on the UK market makes following the stock a little bit easier. I hadn't heard of any of the brand names, for example. The high debt load could be a warning sign indeed, but if it's like you said that the debt is used responsibly and to fuel further growth I wouldn't worry too much. The time is now to take on debt anyway. My pleasure. Hope you found it interesting! Exactly. If there is a Belgian equivalent (no doubt there is!) I would be less comfortable investing in it at the moment without knowing them personally. I have not heard that they are looking to expand more in European countries in general. Britvic France and Ireland was a result of a direct acquisition rather than organic growth in those areas. Currently they seem focused on pushing their directly-owned brands globally which I think is a good choice. However, Europe does not seem to be its main focus. The Americas and Asia seem to be the main thrust of their energies. As Dividend Life noted in his comment above. The debt, despite its heavy presence, is responsibly held. What is more, they have had high levels of debt since their flotation (their parent companies loaded them with it) and they have managed to handle that reality for nearly a decade. I don't see them failing to follow that trend anytime soon! I would like to see them start considering paying it down a little quicker, however. Even if this is just so they have greater flexibility to grow it again to invest and grow. We will see!